Newport College Welcomes Elite Athletes to their School. On Thursday 4th of April 2019, Newport College was honoured and delighted to welcome top athletes to their school to talk with their students and staff as part of their Active School Week and Positive Wellbeing Week 2019. The theme Newport College took for their Active School Week was, following on from the success of their Transition Years student’s promotion of the initiative 20×20, promoting women in sport. 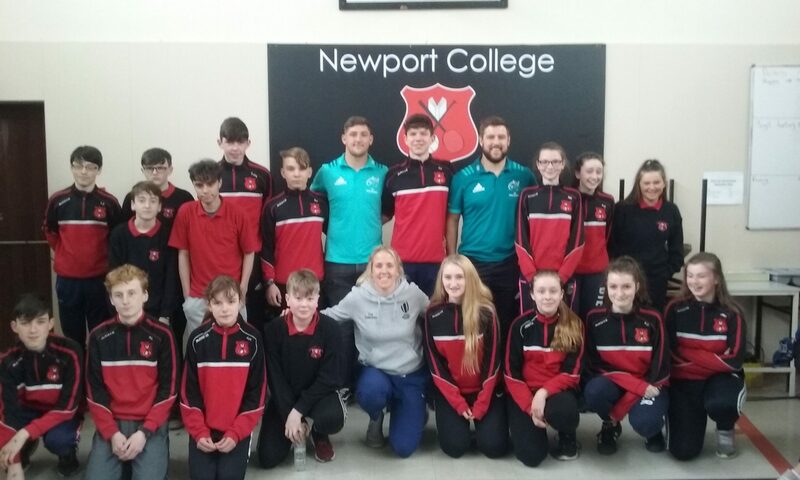 Newport College had the pleasure of welcoming Joy Neville (Former Irish International Player and current Rugby Union Referee) with Munster players Rhys Marshall and Dan Googins. With the promotion of the women in sport, Joy Neville success and impact both as a player and referee was a perfect person to have speak with our students of her inspirational achievements of breaking down barriers for all women in sport and for her commitment, leadership and passion to sport and the promotion of women in sport. The afternoon was an inspirational talk from each of the athletes about their sporting career to date. Joy Neville spoke of her career both as a player (representing Ireland in both world cups 2006, 2010, captaining the Irish team, and winning the Six Nations, Grand Slam and Triple Crown victory in 2013) and how she became a Rugby Union referee. As a referee some of Joys success are being the first female referee to referee men’s games as well as in 2017 Joy was awarded World Rugby Referee of the Year and with no doubt being awarded 2018 Sport Person in the year for her accomplishments by the People of the Year Awards. Joy Neville encouraged all young sports people to dream and achieve, leading a very potent message of having dreams, aspirations and self-belief in one self. A message by a lady who clearly lives by with the huge positive impact Joy has made in sport. A message from a person who embodies this promotion from her success as a player as well as referee of having dreams and hopes and of self-belief. Following from their talk, the floor was opened for questions from our students, with one of the questions which stands out is their sporting highlights, where each athlete spoke to the students of her highlights of their career to date. 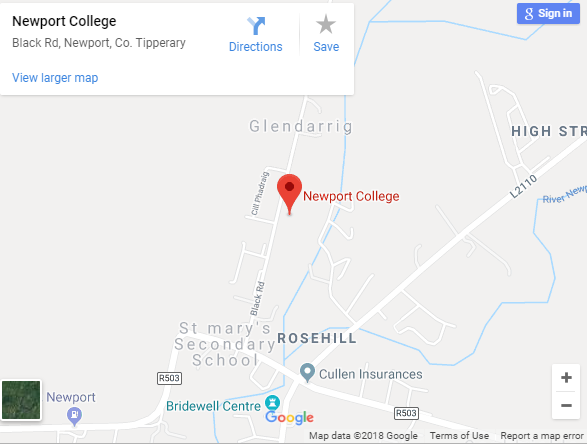 Newport College would like to thank Joy Neville, Rhys Marshall and Dan Googins and all at Munster Rugby. It was a splendid day with inspirational talk from such expertise and ambassadors of sport with an extremely powerful of message of passion, dreams and self-belief. A day which will be remember by students and staff for many years with the pleasure of meeting and talking to such ambassadors of Sport. 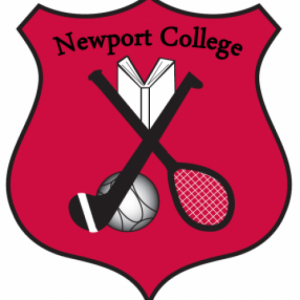 Newport College would like to take this opportunity to wish Joy Neville, Rhys Mhyers and Dan Googins every success in their sporting careers in the future.